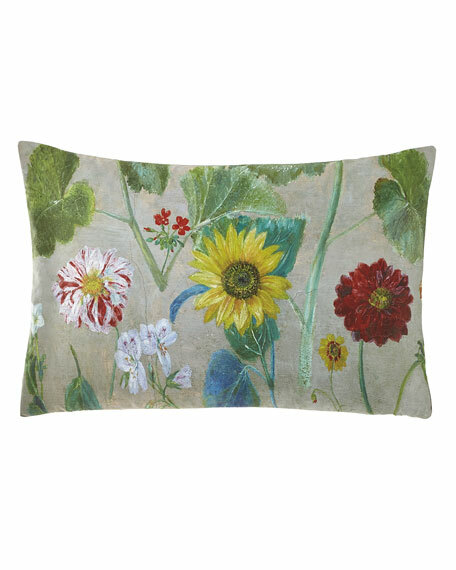 Delacroix Trio pillow was inspired by a floral painting from Eugene Delacroix. Regarded as the leader in French Romantic movement, Delacroix was known for expressive strokes in his works, and providing the groundwork for Impressionism. Here a sunflower, dahlias and wildflowers are arranged.